AllNewSuperRobot wrote: . After reading both parts, I do hope, at their peak, MTMTE/LL & TAAO/OP are better than this. Titans Return is generally considered "just ok". Very generally speaking, August - November 2016 was a low point in the IDW run to the extent that the sales never really recovered, some one-off peaks aside. Plot-wise, Titans Return does set up my personal favorite part of TAAO, in which the undead Titans reach Cybertron. It's the book's second arc/trade and is issues 5-8. Given your preference for visual storytelling, you may be pleased to know it's much lighter in word count than most any recent IDW TF books that I can think of, at least since AHM. I never got to read AHM. Was it light on dialogue? That usually makes for a boring story. Rodimus Prime wrote: I never got to read AHM. Was it light on dialogue? That usually makes for a boring story. Lighter than what Furman had been doing by a good bit! I think less dialogue is just fine if the visual storytelling is up to snuff, but that's a learned skill. It can be very tempting to see a splash page with no/few words and skip right along, but learning to stop and really take it in and actively think about it changed my comics reading world. That said, if the art is bad, over-simple, or just not doing anything for the story, then yes a lack of dialogue becomes a detriment. 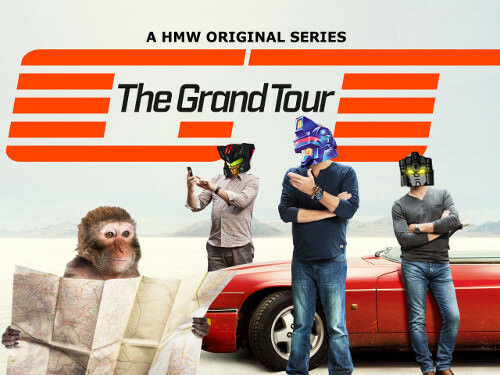 I don't think that applies to AHM or TAAO (in places), thankfully. If you're Australian and subscribed to the Transformers: The Definitive G1 Comics Collection and were wondering where your latest shipment is, it's because Bissett Magazines, the Australian distributor for Hachette Partworks (the UK publisher of the books) has filed for bankruptcy. The crew over at OzFormers shared the details and what you should do going forward via a Facebook post. OzFormers Facebook wrote: Transformers Definitive Comic Collection update. Hopefully they have the mailing list of subscribers, but just in case, please email Hachette in the UK (customer_service_aus@hachette-service.com) to make sure that they know that you were getting the series, and which volumes you last received (the last two sent out should have been Volume 14 & 43 in the second week of July). Updates from Hachette will be posted here and on Ozformers website. The more people here who are known by them, the quicker they might be to find a solution, and the more likely one of us will be updated with some news about if or when the shipments will resume for us in Australia. Other collectors have received responses from Hachette that they are working to get a new distributor set up so that collectors can resume receiving the books. Affected by this? Didn't know about the Transformers Definitive Comic Collection? Sound off on our forums! So lets catch up briefly on what I've been reading. Liars A to D and Shadowplay, were two of the newest collections of the Part Work and while some stories were interesting concepts, the overall impression I have of the first 13 (+ annual) issues of the much lauded MTMTE is Underwhelming. As noted, I tapped out of IDWverse with DoOP. Too far a departure from the Origin to LSoTW era that I found so captivating. To that end I have largely gone into reading these books, particularly as they are the initial arcs, with an unbiased and open mind. My main point of contention with this series opening is that it could be anything. There is nothing in this series so far that clearly, proudly says 'Transformers'. I've read a lot of comics, of various genres. Without a distinct hook/voice of it's own, a series just becomes lost like a raindrop in the ocean. Transformers typically has that, by default. The motivations, the world building, the contextualisation of the titular Giant Alien Robots. Most of this series however, is (dense) talking heads. It's like Star Trek, mixed with the humour of Red Dwarf, in Robot Cosplay. I imagine the appeal is akin to the Disney approach to Marvel Movies. Generalise and dilute the source material to make it as accessible to the general audience as possible. Did I enjoy it? Not particularly. The initial arc "Liars A to D" was naff. The story involving Pharma was interesting , although there is a weird disconnect between the Ratchet of Infiltration and his Grandfather in this book. Shadowplay too was engaging, until the Prime fanwank took centre stage. (1)Swerve and Tailgate - Two "chibi" characters that are visually completely incongruous with the rest of the book. As someone with an artistic background, their jarring presence irritated me, to the extent I largely skimmed over their dialogue and scenes. (2) Whirl - I understand why he is visually different from the rest of the cast, being familiar with the history of his toy, and the way they tried to explain that away in Shadowplay was a nice touch. However, to me he is one of the worst characters in IDWverse, an Extreme 90's archetype that falls flat. So much so I think the book would have been better without him. Overall both books get a 5/10. As I said, decidedly average and middle of the road by IDWverse stands previously set. To think some fans complained that half a dozen characters died in The Movie. If the level of culling in the Underbase Saga had been present in The Movie, I think Transformers would have ended there. Yet in terms of characterisation and story, this is Budiansky's best work. Ironically his swansong from the series too. The level of death in this book, as someone who champions plot progression over maintaining the status quo, is very impressive. Not to mention the disregard in which it takes place. There simply isn't the opportunity for heroic final moments, Starscream slaughters dozens per panel, unceremoniously. The art of Marvel US however, remains poor. I don't know if this picks up by the end of the series, but everything I've read via the part work to date, I am left somewhat pessimistic about the odds. This one is an 8/10. A 9.5/10 if the art had been beyond serviceable. If you didn't like Swerve, Tailgate and Whirl already, you've got a good bit of not liking them in the future I'm afraid. Try imagining Whirl as literally Bender from Futurama and see if that helps? It might not, just a thought. The art on Marvel US improves from about 69-80 when the Wildman and Baskerville duo takes over almost exclusively. Between where you are and that point, there are some nice Geoff Senior penciled issues in the 60s, but it's mostly still Delbo. Does a really nice job on some of the Matrix Quest stuff though, imo. I don't understand how this level of art (in Marvel US) made it to print? I've read comics from the 60's that were better (read: more consistently) drawn. Scale for one thing, is all over the place. Ultra Magnus for example. I'm not even sure how tall he is supposed to be, compared to everyone else in any given book? As it more or less changes from panel to panel. Scale was always a bit of an issue in G1, be it in the cartoons or in the comics. You have to remember - these comics were churned out at high speed, to tight budgets and even tighter deadlines. Furthermore, Transformers wasn’t as illustrious as other Marvel titles, so you can forgive the production staff if they didn’t give it their all. Some of the artists were working on multiple titles simultaneously. The mere fact that the old stuff is as good as it was... well it’s a minor miracle. As to your other points... well the G1 cast contains literally hundreds of characters. You’re always going to get some (ie Blaster and Eject) who fall by the wayside while others get a lot of focus. The G1 comic was the same - poor old Flamefeather barely got a look in back in the 80s!!! It’s a difficult balancing act. Some fans bemoan the fact that IDW put so much focus on some of the ‘lesser’ characters such as Tailgate and Rewind, but you also get people complaining when the ‘core’ cast (Prime, Bee, Megs etc.) are overused. You’re never going to please everybody. Besides which, the Blaster spotlight was a relatively early issue. You can’t really blame Roberts for wanting to pursue his own storylines rather than tie up stuff from previous eras. Besides which, until now, Rewind has almost exclusively been portrayed as an adjunct or underling of Blaster, rather than a character in his own right. Personally I think it was great that he was able to shine and be something more than simply a non-entity. I agree that the Chromedome/Rewind relationship is about as subtle as a brick, but don’t really see it as ‘forced’; to my mind it evolves naturally as the characters develop. Considering the plot-heavy nature of MTMTE, it’s a wonder that the characters are as well-drawn as they are. Each has a very distinct voice, which can’t always be said for Transformers fiction. I say the relationship is forced as it is the most blatantly human element in the entirety of the series I've read so far. The least Transformer-like interaction, if you get my meaning. Blaster is a strange one. He was introduced in the film, only to disappear past the midway point. Only really Takara even took notice of him after that, with his fatal rivalry versus Soundwave. 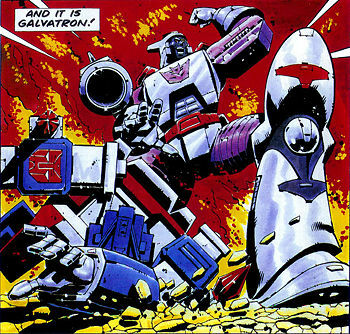 The G1 comics used him quite a bit and did a lot with him, in terms of characterisation. Then he largely disappears completely. I'm struggling to think of a cartoon he was anything more than a visual cameo in the past few decades. You would assume, given the Spotlight, Blaster was going to be up on the frontlines of IDWverse again. But not even Furman used him. It speaks volumes when one of his cassettes gets more recognition than he does. The only consistent complaint I had against IDWverse since Furman left, was how little of the toybox they made use of. From the -Ations to the Spotlights, Furman brought in Gestalts, Pretenders, Headmasters, Micromasters. Other than Star Saber, Overlord and a brief Sky Shadow cameo, G1 was the order of the day after that. so much potential, squandered. The less said about the insulting treatment of the BW characters in IDWverse, the better. As for the art of G1, I only compare it to it's sister title (Marvel UK). That book must have been on a similar release schedule, yet the art is crisp and consistent. The contrast is plain as day to see, given the part work often pairs them together. AllNewSuperRobot wrote: The only consistent complaint I had against IDWverse since Furman left, was how little of the toybox they made use of. From the -Ations to the Spotlights, Furman brought in Gestalts, Pretenders, Headmasters, Micromasters. Other than Star Saber, Overlord and a brief Sky Shadow cameo, G1 was the order of the day after that. so much potential, squandered. The less said about the insulting treatment of the BW characters in IDWverse, the better. Furman's IDW run was the only one in IDWverse that took this seriously.